Legal Book & Seal (LB&S) is a software service for business owners, designed to protect your personal assets against business debts and fines that try to follow you home. Business law is changing. There is an explosion of new lawsuits against businesses and LLC's by creditors (and others) trying to break through the barrier separating your the owner's assets from the Company's assets. By cross-examining the corporate veil that separates your assets and those of your business, LB&S finds the weak areas and provides a secure location to reinforce them; helping to protect you and your shareholders or Members from a court's attempts to pierce your company's corporate veil. Legal Book & Seal was designed by business attorneys specifically for corporate secretaries, lawyers, business executives, Board of Directors and business owners responsible for maintaining and managing the corporate formalities for your company. LB&S is more than just peace of mind against a court's veil piercing actions. It is a place to store sensitive business documents, information on shareholders, LLC Members, and directors, as well as stock ownership data and outstanding warrants and options. 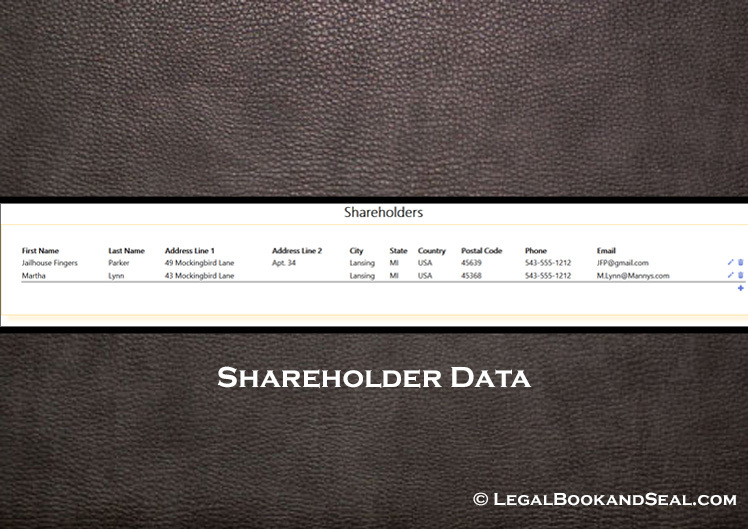 Think of LB&S as an online ledger of company ownership information. Verifying share certificates (by number & owner). Legal Book and Seal protects your business with comprehensive legal documentation of all corporate formalities, defends your personal assets against seizure and strengthens the weak points in your corporate veil. What Is The Corporate Veil? How Does LB&S Protect It? If you are sole owner of a corporation, or you have partners, or you organized your business into an LLC, the corporate veil is the legal separation between your personal assets and the assets of the business. A shareholder's or Member's limited liability emanates from the "legal fiction" that a corporation is a separate legal entity. The veil changes how your business is taxed, and it protects you from liability for business debts and lawsuits involving your business, and so on. When your corporate veil is intact, your house, your car and your personal savings account are not exposed. However, if the corporate veil is not reinforced, you can be stripped of its protection, allowing your personal assets to be seized by the IRS or debt collectors. In the eyes of the courts, forgetting to have real meetings, take Minutes in a shareholder meeting, or commingling funds without a signed loan, is sometimes enough reason to “pierce the veil” and lose your protections. When the courts pierce the corporate veil, members, directors, shareholders, and owners can all become personally liable for the debts and fines of the business. Unfortunately, such corporate veil piercing is becoming more common. Over 72% of US businesses are not in compliance with corporate formalities, and 41% risk losing their corporate veil protections to court action. Legal Book and Seal helps you discover potential corporate formality infractions and directs you to repair them. If you require assistance beyond what the software offers, LB&S also provides exclusive access to exceptionally gifted business professionals who can assist you in completing the LB&S information, and protecting your personal property. Legal Book and Seal shows you where your business is noncompliant with corporate formalities and assists you in repairing the weak areas. By solidifying the corporate veil separating your personal assets from those of your business, your personal property is protected from asset seizure by the IRS, business debt collectors or even angry shareholders. Make no mistake: business owners who fail to obey corporate formalities can lose their homes and their life savings as a consequence. Once LB&S has solidified your corporate veil against any piercing action by the courts, we help you stay in compliance by making corporate record keeping easy and accessible through our user-friendly software. • Secured, Encrypted Digital Vault for holding relevant Company documents i.e. During initial setup with LB&S, you have access to exceptionally qualified business professionals who can assist you in assuring your business meets its compliance requirements. 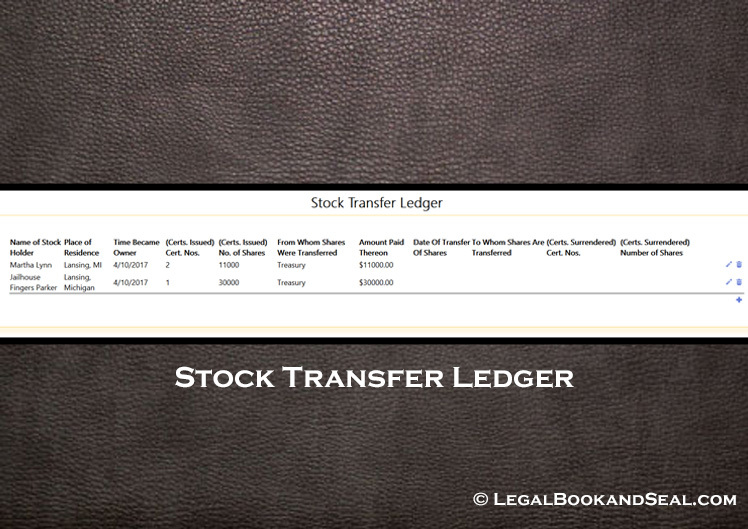 Legal Book & Seal also makes managing your corporate record keeping convenient. If the IRS shows up at lunch and demands to see your company Minutes from the last shareholder meeting, all you need is an internet connection. All business information is stored securely through an encrypted interface, assuring accessibility and protection for all your important business documents. 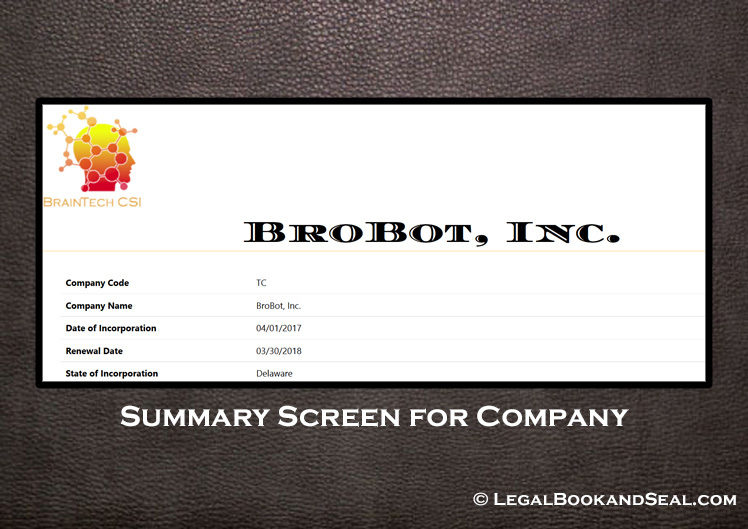 You no longer have to look everywhere in the office to find the binder with your Articles of Incorporation, Shareholder Information, Minutes from last quarter, or that pesky IRS Company EIN number, when you need it most. • Assess sufficient funding at the moment of incorporation, making sure there is enough money for initial operations. 11. Whether, in fact, the corporation is a mere facade for the operation of the dominant stockholders. Corporate formalities apply to your business and you should use Legal Book and Seal to check your compliance immediately. If you do not, your house and other personal assets could be at risk. Setup for LB&S typically takes less than an hour and from that point on, your business will be guarded against attempts to pierce the corporate veil and seize your personal assets due to noncompliance. 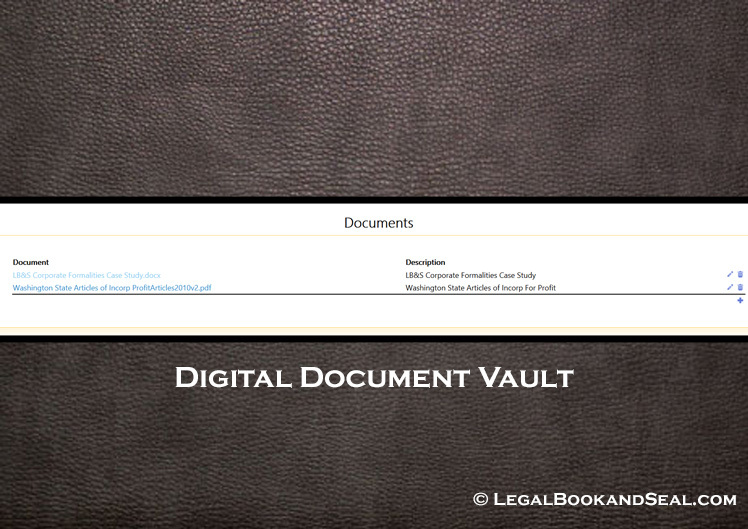 You will have a date and time stamped record, from a third party legal source, that can provide prove to a Court (with an affidavit from LB&S if required), that you have recorded the corporate formalaties, documented and secured the records in the LB&S application and you will purport to the court that your legal books & records are in order and in complience with state law. This will go a long way to assisting you to prove that your company has worked in good faith to meet its requirements to protect their corporate veil. Like insuring your business against fire, flood, theft, and other disastrous incidents, Legal Book and Seal can offer your business peace of mind against attempts to pierce the corporate veil and its a good business decision. 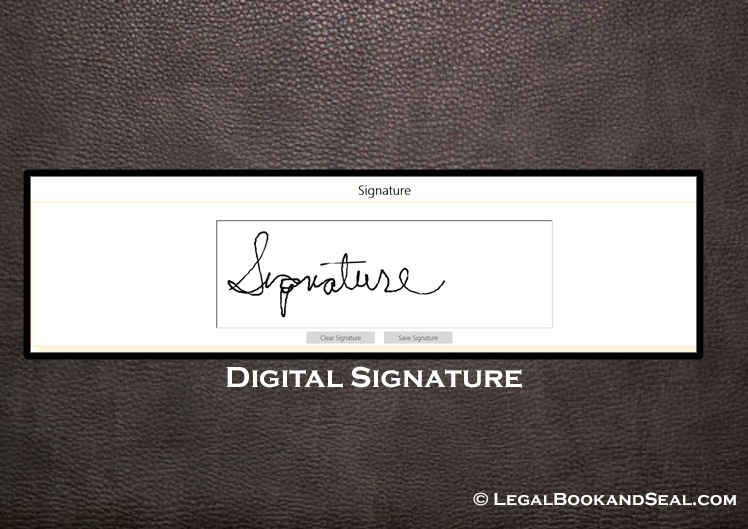 If you are absolutely certain your business adheres to all corporate formalities and your personal assets are not at risk, LB&S can still help you by digitizing and managing all business documentation for the future. As laws and regulations change, LB&S is updated to help you stay in compliance with your states business formalities requirements. Access to the protection of Legal Book & Seal, is just $249.95 per year, or $24.95 per month with a monthly credit card payment plan. As soon as you sign up for LB&S, you can have peace of mind that your home and other personal assets are better protected against seizure by the courts or IRS for corporate formality infractions. The sooner you get protected, the sooner you can get back to running your business without fear. If you have all your documentation in order, getting set up will take about 45 minutes. If you require assistance from one of our professionals in finding or entering the records necessary for compliance, please call us at 847-934-0604 today. 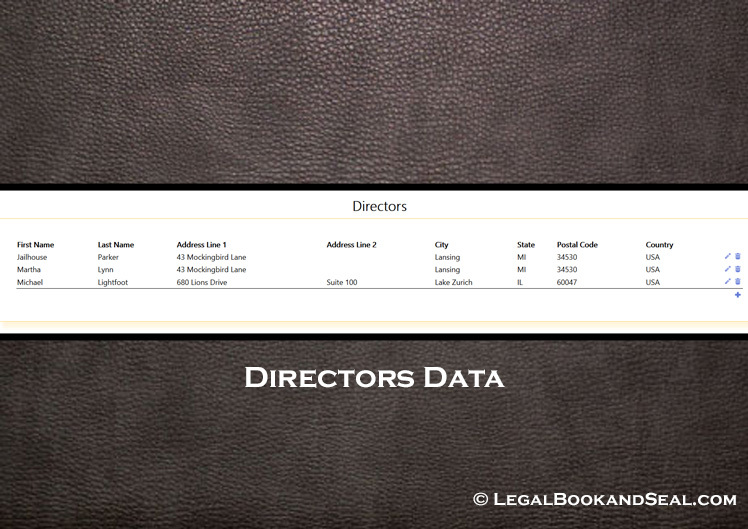 I have been using Legal Book & Seal for over a year now to keep track of my corporate and LLC clients. I have been very satisfied with the application to assist me with a centralized place to store the Company’s shareholder information, stock ownership information and it even does the math for me on stock percentages. I also LOVE the archive feature for storing my client company’s important documents where I know exactly where they are and can access them online anytime. I give this application a big thumbs UP! Our company has been using Legal Book & Seal for about six months now and it has simplified my work with shareholders and my Board. We keep all our information on our shareholder’s and the shares each one owns in the app. We also store our “important” company documents in the app’s archive, because it’s fully encrypted and safe and my officers, who live in different states, to add, update and access the archive from their office, without having to go through me to find the data and send it to them. We are very happy with the app.